I’m adding two more reading challenges for the year. Yes, I know. I’ve probably taken leave of my senses. 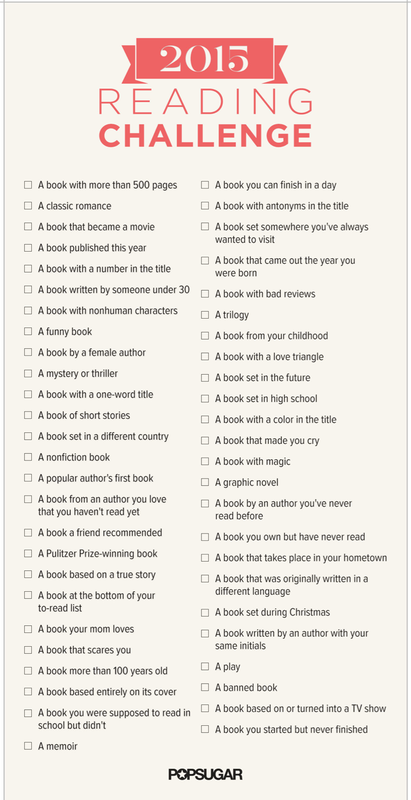 But one of them is obvious, and I’ve done it for several years now; I just haven’t announced it before: the Goodreads Reading Challenge. Last year I set my goal at 175 books and read 186, so I more than reached it. This year, I’m setting my goal at 180. I have a feeling I may be reading some longer and more challenging books this year, so I don’t want to make my goal unreachable. If you’re interested, you can follow my progress throughout the year in the sidebar. 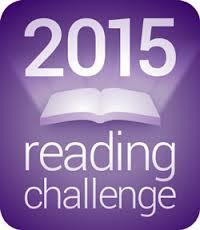 The other challenge I’m taking on is the PopSugar 2015 Reading Challenge. This challenge aims to diversify your reading. There are 50 entries, but since one is a trilogy, it’s 52 books. As you know if you read my blogging goals, I’m trying to read more books of my own choosing this year, and I’m not entirely sure how the PopSugar challenge will fit in with that goal, but I do want to stretch myself a bit as well. So rather than challenge myself to the entire list of 50 requirements, I’m going to go for half of that. That means I need to read one book that fits the challenge every two weeks. In July, I’ll see how I’m doing and possibly add some more requirements. To leave myself plenty of flexibility, I’m not going to specify which requirements – I’ll base it on my mood and what sounds like fun at the time. And every few months, I’ll try to let you know where I am with it. Here’s the full PopSugar list. You can see a larger version on their website, as well as a link to a printable PDF. Hmm, that PopSugar one looks interesting. Good luck! The Pop Sugar challenge looks really great! I really like these category challenges which is not terribly self-aware as I’m not good with “assigned” reading. It looks like it is a nice mix of categories that will push you and some that you’ll be able to tick off no problem. Good luck! And congrats on reading a 186 books! Phew! Stephanie recently posted…Saturdays in the Garden – Guest Room or Green House? It does look fun, and a good mix, and I like that I don’t have to link reviews or anything. Not that I mind doing that for some challenges, but I don’t want to have to review and link for EVERY challenge! Thanks for stopping by! I also set my Goodreads challenge goal. The last two years I topped my 100 book goal easily, but to make no pressure I just raised it to 101 books this year. I’m a mood reader and sometimes that slows me down if I can’t seem to find any of my books I want to read, and if you knew how many books I have on my kindle, you would know how ridiculous that statement really is! I’m doing two other challenges, my own personal one–Pushing the Limits, which is somewhat similar to the Pop Sugar one, which by the way, sounds like fun but a lot of work (!) Glad you are improvising. Also I’m doing Annette’s Book Spot’s e-reader challenge, since I mostly read on my kindle anyway. Hope 2015 gets off to a great start for you! Thanks, Rita! 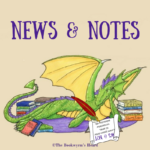 I enjoy hearing about the challenges other readers and bloggers are doing. I’m not familiar with Annette’s challenge; I tend to do the COYER challenges and the one Kimba runs for that – but I’ll check it out! 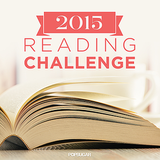 I’m going the GoodReads challenge and I’m intrigued by the PopSugar Challenge. I’ve been thinking about printing it out and using it as kind of as a guideline without officially doing it. Good luck with your challenges! I kind of went a bit overboard this year but they’re just so fun! Looks like we’re in a similar boat – both the Popsugar challenge and reading 180 books or more. I haven’t been much of a graphic novel reader, but I’m thinking of checking out the Saga series, which I’ve heard is really good. Thanks for stopping by, and I’ll be over to check out your challenge post! That pop sugar challenge looks fun. Isn’t that like a big website (goes off to investigate). Some of those challenges you could knock off with one book I bet. I am totally in. Hopefully today I get up a post about the challenges I am going to do this year. It looks to me like you are supposed to do a different book for each requirement, but they don’t actually say so… so I guess it’s entirely up to the participant! If you did combine, Jane Austen’s Emma would fill a bunch of requirements right off the bat – female author, over 100 years old, one-word title, made into a movie, set in a different country… Anyway, have fun with it, Angie, however you decide to do it! Thanks for stopping by my blog a few weeks back! I’m doing the PopSugar challenge, too. I haven’t committed to an actual number, but half certainly sounds good, Lark! I think that is certainly doable. Oh, good! That makes several of us doing it. It will be fun to see which books people choose!